An illuminating display from their media lab. The Metropolitan Museum of Art’s media lab team and Egyptian art specialists weren’t out playing in the snow in nearby Central Park after the storm along with other New Yorkers. Instead they were inside putting the finishing touches on a new digital light display in their famed Temple of Dendur space. 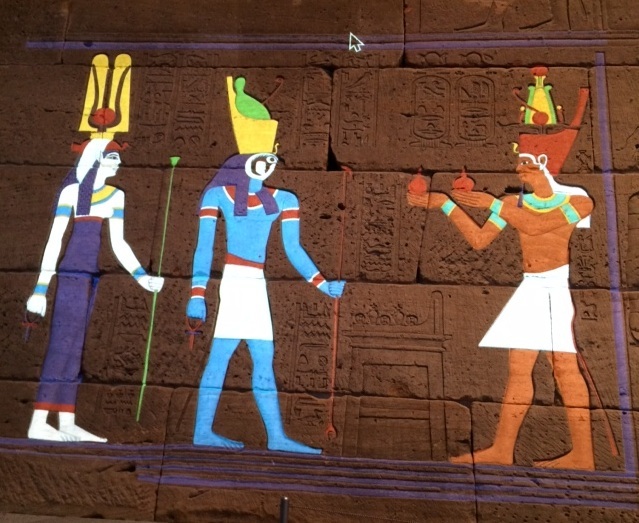 The experimental projection, ‘Color the Temple: Scene 1’, shows how a limited portion of the 2,000 year-old temple walls may have originally appeared before the colors faded. The display debuted on Jan. 29 and will be on view during weekend evenings through March 19. The light show is about more than the convergence of art and technology. It also fits from a branding perspective. The Temple of Dendur project premiered as the museum prepares to open its new Breuer building in the former Whitney Museum space in mid-March. That launch is all about modern and contemporary art, while this Egyptian display reminds visitors about one of the Met’s core areas of expertise: antiquity. ‘Color the Temple’ is also smart marketing. In the middle of winter in New York after the popular holiday season, tourism hits a low point and hotels experience a decline in room nights. Even the Met, ranked as the world’s top museum on TripAdvisor, could use a boost in visitors now, especially given other popular Egyptian exhibits around town. This event adds value to their broad array of offerings and appeals to museumgoers of all ages. The sphinxlike display also serves as a partial answer for those wondering what media labs produce. Of course it’s highly visual, is ideal for social media postings, and the museum is using the following handles and hashtags for the occasion: @metmuseum, @MetMediaLab and #TempleofDendur. So far the small scale project hasn’t been widely publicized, but it’s also likely to become more popular by word of mouth. ‘Color the Temple’ took about two years, as those involved worked on several iterations to attain the optimal shades and shapes, according to the museum’s media lab manager, Marco Castro Cosio. “The display helps people imagine what the temple used to look like”, he added. Since this installment is labeled Scene 1, it’s likely the beginning of an ongoing series that will pop up again in the same setting in the future. Overall it represents the museum’s own artistic version of Friday (and Saturday) night lights.